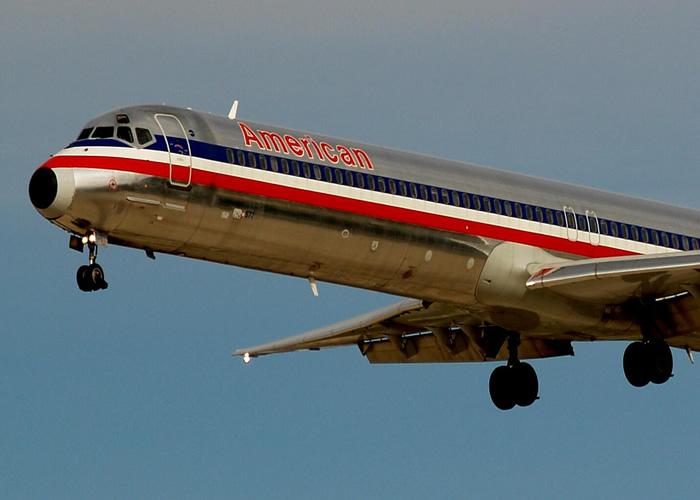 The airliner was designed and marketed by McDonnell Douglas as the MD-95, a third-generation derivative of the DC-9. 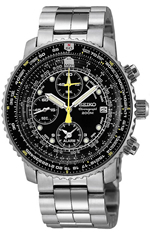 The first order was placed in October 1995; however, McDonnell Douglas and Boeing merged in 1997 prior to production. The first planes entered service in 1999 as the Boeing 717. Production ceased in May 2006 after 156 airplanes were produced. Douglas Aircraft developed the DC-9 to be a short-range companion to their larger four engined DC-8 in the early 1960s. The DC-9 was an all-new design, using two rear fuselage-mounted Pratt & Whitney JT8D turbofan engines, a small, highly efficient wing, and a T-tail. The DC-9 first flew in 1965 and entered airline service later that year. When production ended in 1982 a total of 976 DC-9s had been produced. The McDonnell Douglas MD-80 series was introduced into airline service in 1980. The design was second generation of the DC-9. It was a lengthened DC-9-50 with a higher maximum take-off weight (MTOW) and higher fuel capacity. Nearly 1,200 MD-80s were delivered from 1980 to 1999. The MD-90 was developed from the MD-80 series. It was launched in 1989 and first flew in 1993. The MD-90 was longer, and featured a glass cockpit and more powerful, quieter and fuel efficient engines. However, the MD-90 was not considered a success with only 117 aircraft sold. The MD-95 was initially announced in 1991, as the MD-87-105, a shortened, 105-seat version of the MD-80 series. It was developed to satisfy the market need to replace early DC-9 models, then approaching 30 years old. The MD-95 project was a complete overhaul of the system, going back to the original DC-9-30 design and reinventing it for modern transport with new engines, cockpit and other more modern systems. Historically, aircraft shrinks have sold poorly, examples of such aircraft in addition to the MD-87 include the Boeing 747SP, Boeing 737-600, Airbus A318, and Airbus A340-200. The MD-95 is not a shrink of the MD-80/MD-90 series, but a modernized version of the DC-9-30. The "MD-95" name was selected to reflect the anticipated launch year, but McDonnell Douglas could not find a willing launch customer. Longtime McDonnell Douglas customer Scandinavian Airlines System (SAS) chose the Boeing 737-600 for its 100-seater over the MD-95 in March 1995. Then in October 1995, US discount carrier ValuJet signed an order for 50 MD-95s, plus 50 options. Generally, new aircraft have one or more large, well-established airlines as launch customers. Launching MD-95 production on the basis of a single order from a two-year-old start-up company was highly optimistic, and was seen as a reflection of the difficulty McDonnell Douglas was having selling their aircraft. AirTran Airways 717After McDonnell Douglas merged with Boeing in August 1997, most industry observers expected that Boeing would cancel development of the MD-95. However, Boeing would go forward with the design under a new name, Boeing 717. Some believed Boeing had apparently skipped the 717 model designation when the 720 and then the 727 followed the 707. The 717 name had been used within the company to refer to the KC-135 Stratotanker. 717 had also been used to promote an early design of the 720 to airlines before it was modified to meet market demands. A Boeing historian notes that the air force plane had the designation "717-100" and the commercial airliner had the designation "717-200". The lack of a widespread use of the 717 name left it available to rebrand the MD-95. At first Boeing had no more success selling the 717 than McDonnell Douglas. Even the original order for 50 was no certainty in the chaotic post-deregulation US airline market. 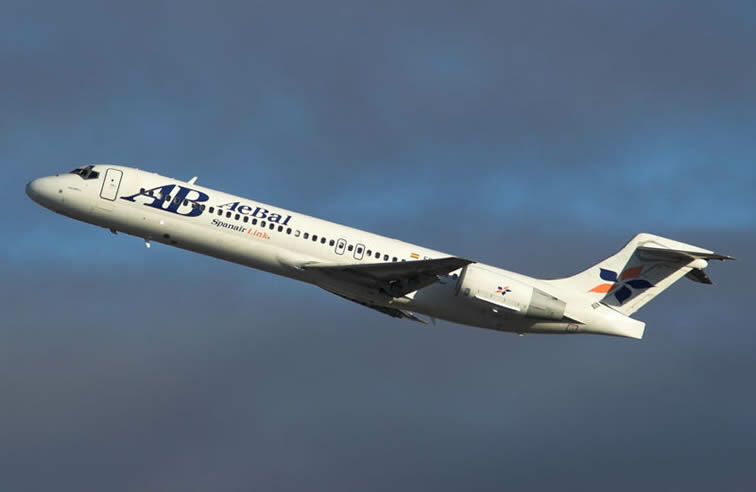 In the end, ValuJet, now part of AirTran Airways, would meet with considerable success and operate a fleet of 717-200 aircraft. Boeing's decision to go ahead with the 717 slowly began to pay off. Early 717 operators were delighted with the reliability and passenger appeal of the type and ordered more. The small Australian regional airline Impulse took a long-term lease on five 717s in early 2000 to begin an expansion into mainline routes. The ambitious move could not be sustained in competition with the majors, and Impulse sold out to Qantas in May 2001. This left Qantas with a more-or-less unwanted handful of "warmed-over DC-9s" to spoil the efficiency of its fleet of large Boeing and small BAe 146 jets. Within a few months, however, the abilities of the 717 became clear. It is roomier and faster than the BAe 146, cheaper to operate, and achieved a higher dispatch reliability than competing aircraft at over 99%. Maintenance costs are very low: a C check inspection, for example, takes three days and is required once in 6,000 flying hours. (For comparison, its predecessor, the DC-9 needed 21 days for a C check.) The new Rolls-Royce BR715 engine design is highly modular: none of the line-replaceable units takes more than an hour to exchange, and about a third of them can be changed in under 15 minutes. 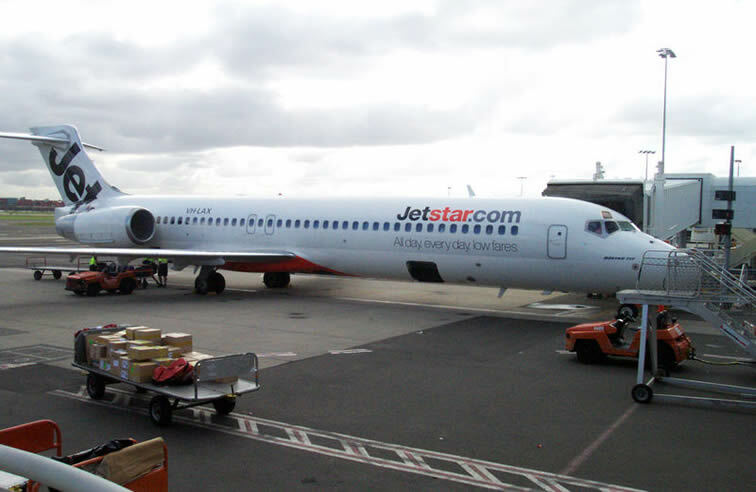 Jetstar Airways 717 at Sydney AirportThe result has been that many 717 operators, even accidental ones like Qantas, have become converts to the plane. Qantas bought more 717s, bringing its fleet up to 14. Other significant orders have come from Hawaiian Airlines, Midwest Airlines, and Pembroke Leasing. Bangkok Airways operates 717s - the Thai regional carrier's first foray into jet aircraft. Boeing actively marketed the 717 to a number of large airlines, including Lufthansa and Northwest (who already operated a large fleet of DC-9 aircraft). Boeing also studied a stretched, higher-capacity version of the 717, to have been called 717-300, but decided against proceeding with the new model, fearing that it would encroach on the company's 737-700 model. Production of the original 717 continued. Boeing continued to believe that the 100-passenger market would be lucrative enough to support both the 717 and the 737-600, the smallest of the Next-Generation 737 series. While the aircraft were similar in overall size, the 737-600 was better suited to long-distance routes, while the lighter 717 was more efficient on shorter, regional routes. The 100-seat market was overcrowded until 2001, but several potential competitors disappeared. BAe canceled its Avro RJX (an updated BAe 146 with modern engines); Fairchild Dornier closed its doors, taking the 728/928 project with it, and Bombardier canceled its new BRJ in favor of a less ambitious stretched 90-seat CRJ900. The remaining players are Boeing, Airbus with the A318, and Embraer with the E-195. The worldwide fleet was then largely made up of aging twinjets with relatively high operating costs, notably the DC-9, early model 737s, and the Fokker 100, plus the newer four-engined BAe 146, which is a prime prospect for refurbishment. In 2001, Boeing began implementing a moving assembly line for production of the 717 and 737. The moving line greatly reduced production time, which was to lead to lower production costs. Following the slump in airline traffic caused by reaction to the September 11, 2001 attacks in the USA, Boeing announced a review of the type's future. After much deliberation, it was decided to continue with production. Despite the lack of orders, Boeing had confidence in the 717's fundamental suitability to the 100-seat market, and in the long-term size of that market. After 19 worldwide 717 sales in 2000, and just 6 in 2001, Boeing took 32 orders for the 717 in 2002, despite the massive industry downturn. Additionally, the former Douglas facility at Long Beach was producing only 717s and C-17s at this time. Hawaiian Airlines 717-200 loading passengers at Kona International Airport for an interisland flight. Increased competition from regional jets manufactured by Bombardier and Embraer took a heavy toll on sales during the airline slump after 2001. The beginning of the end came in December 2003 when Boeing lost a US$ 2.7 billion contract from Air Canada, who chose the Embraer ERJ and Canadair CRJ over the 717. In January 2005, Boeing announced that it planned to end production of the 717 after it had met all its outstanding orders. Boeing officials cited slow sales for the aircraft's demise. A major difficulty with the 717 model was its lack of commonality with other Boeing aircraft. The trend with aircraft manufacturers, particularly Airbus, was to make a "family" of aircraft with similar cockpits and systems, which would require only one "type-rating" for a crew. That way, whatever size of aircraft that was required on a particular route -- even changing down to the day if necessary -- could be used with any of the crew type-rated for the family. Airbus used a commonality approach starting with their A320 narrow-body family (including A318, A319, and A321), and Boeing embraced this concept with their Next-Generation 737-600, -700, -800, and -900 models. Embraer, in their new E-Jet family, also took this approach, offering four regional aircraft in a common family, the largest of which had operational capabilities very close to the 717. The 717 had no commonality with other aircraft, even prior MD-80 and DC-9 aircraft upon which it was based. Although the 717 had operating costs 10% lower than the A318, airlines considering the 717 could not take advantage of the cost savings gained through commonality. The 156th and final 717 rolled off the assembly line in April 2006 for AirTran Airways. The final two Boeing 717 airplanes were delivered to customers AirTran and Midwest Airlines on May 23, 2006. AirTran was the 717's final customer as well as its launch customer. The 717 was the last commercial airplane produced at Boeing's Long Beach facility in Southern California. AirTran Airways 717-200 flight deckThe 717 features a two-crew cockpit that incorporates six interchangeable liquid-crystal-display units and advanced Honeywell VIA 2000 computers. 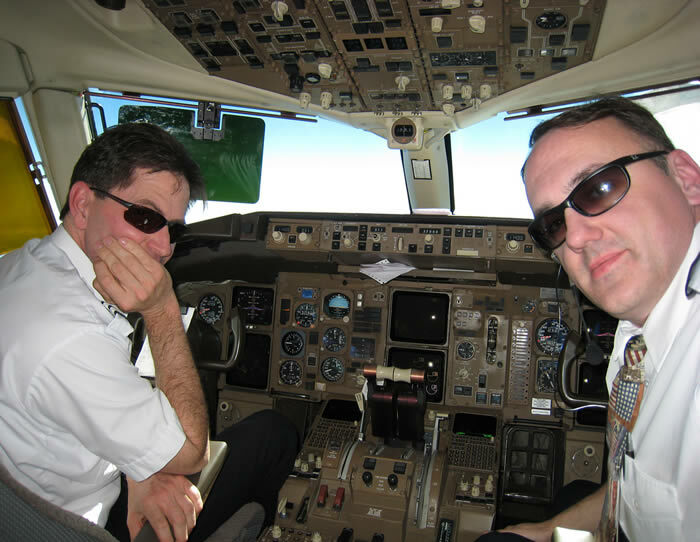 The cockpit design is called Advanced Common Flightdeck (ACF) and is shared with the MD-11. Flight deck features include an Electronic Instrument System, a dual Flight Management System, a Central Fault Display System, and Global Positioning System. Category IIIb automatic landing capability for bad-weather operations and Future Air Navigation Systems are available. 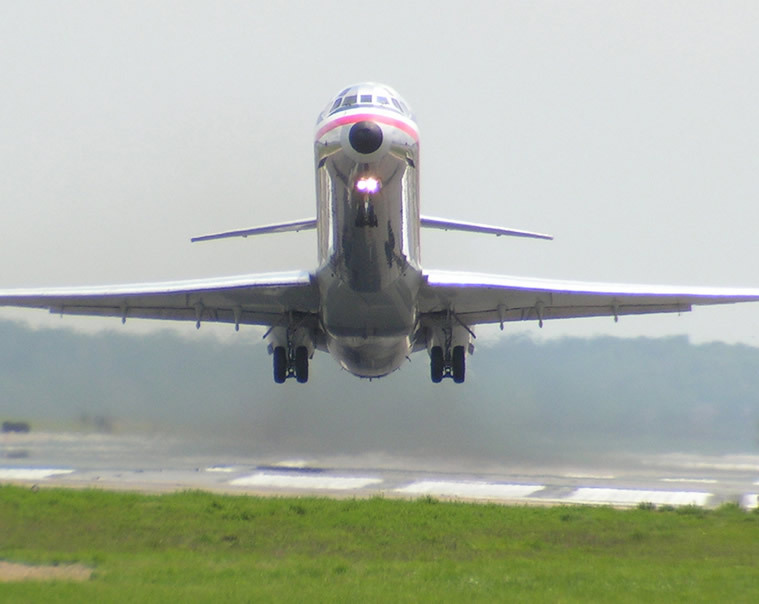 The 717 shares the same type rating as the DC-9 such that FAA approved transition courses for DC-9 and analog MD-80 pilots can be completed in 11 days. In conjunction with Parker Hannifin, MPC Products of Skokie, Illinois designed a fly-by-wire technology mechanical control suite for the 717 flight deck. The modules replaced much cumbersome rigging that had occurred in previous DC-9/MD-80 aircraft. The Rolls-Royce BR715 engines are completely controlled by an electronic engine system (FADEC - Full Authority Digital Engine Control) developed by BAE SYSTEMS offering improved controllability and optimization over its predecessors. Like its DC-9/MD-80/MD-90 predecessors, the 717 has a 2+3 seating arrangement in coach providing only one middle seat per row, whereas other single-aisle twin jets often have 3+3 arrangement with two middle seats per row. Unlike its larger predecessors, McDonnell Douglas decided not to offer the 717 with the boarding flexibility of aft airstairs, with the goal of maximizing fuel efficiency through the reduction and simplification of as much auxiliary equipment as possible. It is interesting to note certain design characteristics that have been retained from as early as the DC-8. For example, the flight deck window arrangement is identical to that of the DC-8, with a center windshield, a fixed left and right windshield, an openable left and right clearview window, and a fixed left and right rear window. Both models have an overhead eyebrow window. The wing of the B717 is identical to that of the DC-9, up to and including the vortilon located on the inboard lower surface. The vortilon was added after wind tunnel testing showed that the wing would stall at the tip rather than the root during increased angles of attack. The vortilon acts as a false pylon, creating turbulent flow over the wing root during increased angles of attack, resulting in the required flow separation. 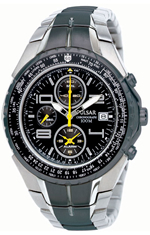 Military watches are dependable watches. Many come with end-of-battery-life warnings, so you know your watch won't suddenly fail you when you might need your watch the most. 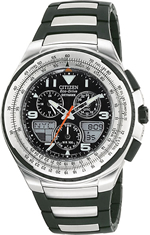 Have you ever had a watch break easily? 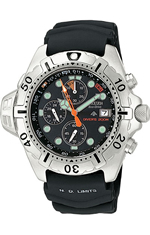 The military knows how rough life can be on a watch, and many military watches have additional features to protect the watch and to enhance the durability of the watch, like unidirectional ratcheting bezels, crown protectors, scratch-resistant crystals, screw down case backs, and safety clasps on the bracelets and bands of the watch. 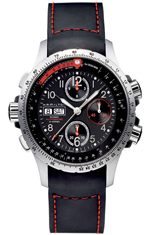 Even a single second can be crucially important in aviation; a pilot has no room for error when it comes to time, and that's why pilots use the best of aviation watches. 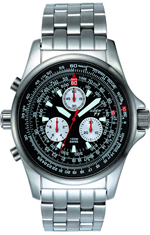 In today's fast-paced world, watches of extreme accuracy and quality are needed in many fields. 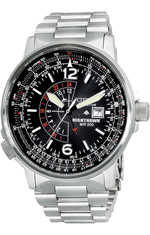 Pilot watches and aviation watches often come loaded with gizmos like tachymeters, unit conversion slide rules, chronographs (some with hands measuring down to a tenth of a second! 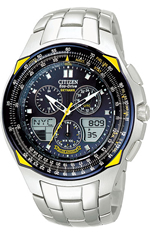 ), and other features critical to pilot watches, like anti-reflective crystals and non-radioactive luminescence.